One of the best things about going to festivals is the food, and Pints & Pools has a great selection of food available. Food will be available for attendees while they soak during the day; attendees can purchase food at the "Canteen" while soaking in the pool area. Once that draws to a close, two food trucks will be stationed in the tasting area from 3 pm to 7 pm. There is nothing better than an outdoor concert. Pints & Pools offers live music throughout the festival for you and your friends to enjoy. The main draw of Pints & Pool is the beer--hence the name. 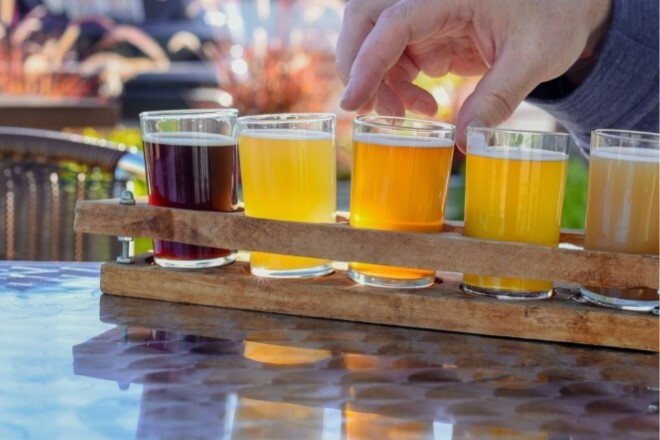 The festival has over 50 craft beers from local Colorado and New Mexico breweries. While beer can be pretty expensive at festivals, Pints & Pool has unlimited beer tasting for only $50. Another highlight of the Pins & Pools fest is relaxing in one of the 23 geothermal soaking pools at the exquisite Spring Resort & Spa. The location is surrounded by scenic Colorado mountains and forests that make it a truly breathtaking experience. Picture this--you're spending time in the sun, enjoying some music and beer, and relaxing in a geothermal pool. What a great way to kick off the summer, right? If you are interested in attending this year's Pints & Pools Craft Beer Fest, tickets are still available.